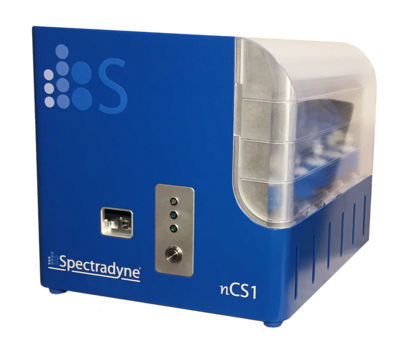 The nCS1 by Spectradyne International Inc. is an innovative device for measurement of particle-size and -count in the range of 40nm – 2000nm. It operates on the basis of the Coulter principle, measuring suspensions of arbitrary polydispersity and particle type in a truly orthogonal to light-based techniques within minutes. In contrary to the majority of light-based methods, the nCS1 delivers high-resolution particle distributions, instead of ensemble distributions. 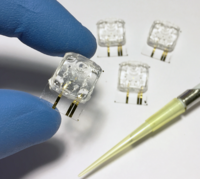 Measurements are accomplished with as few as 3µL suspension.